Plastic Water Locks for 40 - 50mm hose. Featuring a dual stage construction with upper and lower chambers. A horizontal partition plate. Plastic Water Locks for 60 - 90mm hose. 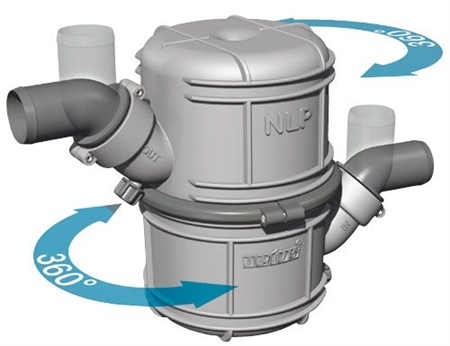 The NLP waterlocks offer excellent silencing of exhaust noise.